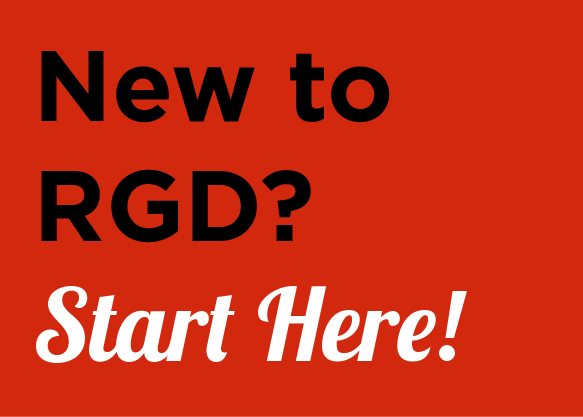 If you have an idea for starting a student program please contact the Student Committee at students@rgd.ca. Creative Directions is RGD’s largest annual event for emerging creative professionals and those looking for fresh perspectives on the industry. The event includes opportunities to visit leading creative studios, connect with industry influencers, receive constructive feedback on your work and hear insights from individuals representing a variety of creative careers and experience levels. Each year RGD asks students to submit the very best of their work. The work is then judged by a panel of industry experts and the best work is selected for various categories such as Print, Typography, Place-making and Digital Marketing. The winners receive not only cash awards (in 2014 RGD presented $17,000 in awards to students) but also the work is profiled in a printed piece sent with DesignEdge Magazine. Attracting over 1,500 participants annually and a line-up of 25-30 visionary speakers, DesignThinkers is Canada’s largest, most important graphic design event. It’s an occasion to listen, learn and interact with peers from across the country. Students attend at reduced ticket price and can network with design professionals and fellow students from various design programs. Student members are encouraged to become involved with RGD and the Design community by volunteering as part of the structured Student Volunteer Program. Volunteers work 3 hours per week, for up to a total of 39 hours. Student volunteers in Toronto are asked to work at the Association’s office, at 96 Spadina Avenue, Suite 210. Tasks are mainly administrative and include assisting with mailings, Internet research, preparing packages, and organizing files. Student volunteers outside of Toronto are asked to work from home. Tasks include Internet research and transcribing of event presentations. RGD hosts regular webinars about various topics related to design ranging from Accessibility and Business to User Experience and Branding. Additionally students can also enjoy the “3 Things I Didn’t Learn In School” series of videos. These monthly presentations provide an opportunity for students to benefit from the insight of professional designers with real-world experience and discover opportunities to learn beyond the classroom in the wider design community. Student Members have access to the full archive of past videos. Final year Student Members and Provisional Members can make use of the Mentorship Program. This program matches protégés with Provisional RGD or RGD Mentors to assist in developing the necessary skills to enter or continue on a professional career path in graphic design. With the assistance of RGD staff, representatives from RGD’s Student Rep Committee organize lectures at their schools featuring their alumni at various stages of their career discussing their experiences; their creative process; their work and their day-to-day. They also answer the audiences questions about the industry.